Eventually we might get a whole GM Rompler with many of the instruments. For the moment here is a collection of instruments covering the first 3 categories Piano, Chromatic Percussion and Organs with 24 instruments total. Many new instruments and lite versions of things like the Salamander Piano. Lots of cool instruments from Sam Gossner's new VCSL project. 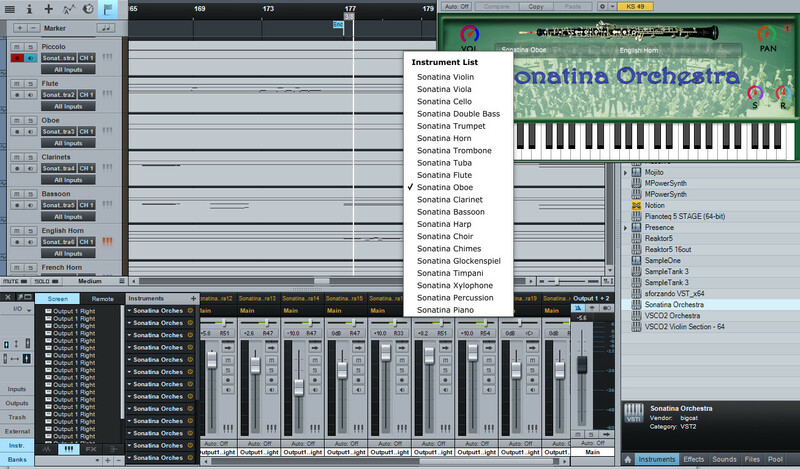 See read me for individual instrument licenses, all can be used to make commercial music. Sam Gossner, the man behind Versillian Studios and the VSCO2 Orchestra, has created the Versilian Community Sample Library. It is really just starting, but there are already lots of fun samples. These samples and my instruments are CC0 which means you can use them for anything you like. As always I'm using the acronym VCSL so that folks will know where the samples came from, these instruments are my own fault and Sam did all the amazing sampling work. I'm not affiliated with Versillian. I just love the free samples! As per usual you are agreeing to terms and conditions. Here is a bonus instrument. Mattias Westlund of SSO fame created this violin trio using the violin samples from VSCO2, MSLP, ldk1609 and MIS. 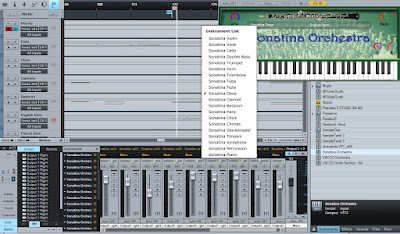 Christian Henson gave away a free set of samples / EXS & Kontakt instruments. I asked on thread if I could make Maize sampler versions and he responded "Oh I sooo want to see this! Please could you post here." So here is a link to the Youtube thread. You can find the instruments under my post as Joe Stevens. Pick the one for your OS. Since the response stopped short of complete permission, I don't feel comfortable posting it on the blog and don't want to get in wrong with one of the biggest sampling companies in our world, but it is easy enough to grab from the Youtube thread. The piano itself is very odd. I did a lot of tuning, cutting and editing to get a somewhat in tune and consistent feel across the keyboard. It isn't for every situation, but it might be useful as a very different feel than a regular piano. It also comes with a pads VST. Magenta is a Google Brain project that has created something called NSynth which seems to be extracting the audio DNA from samples and then mixing it all together in a user controllable synth. While I can't give you the synth (it is highly confusing) which will hopefully someday come out as a VST, I can apparently use the NSynth Dataset to create more traditional though possibly funky sounding instruments. I've finally added in a Reverb to the GUI as well and thanks to my friend at VST4Free for the background image. 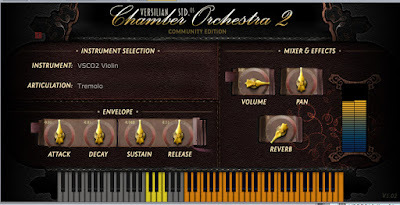 These use the latest version of Maize Sampler and should be compatible with both VST 2 & 3. They also use the new ADSR controls from Maize and should work better. These are 30 acoustic choral 'patches' in 5 instruments. The are arranged by range, Full, High, Mid and Low. These are 5 Acoustic Keyboards which are pianolike at any rate. They are called up from a single instrument sort of like a mini-romper. License: The dataset is made available by Google Inc. under a Creative Commons Attribution 4.0 International (CC BY 4.0) license. Paper: Jesse Engel, Cinjon Resnick, Adam Roberts, Sander Dieleman, Douglas Eck, Karen Simonyan, and Mohammad Norouzi. "Neural Audio Synthesis of Musical Notes with WaveNet Autoencoders." 2017. I'm gonna break from my practice of using this blog to post only my own stuff because I wanted to mention that the endlessly cool Sample Science has issued the Sample Science Player. It is totally free though you can slip him a couple of bucks if you like. Note I had nothing to do with this, I just think its really cool. Sorry for the issues with this orchestra. I've changed the name to the Sketch Orchestra and the checksums are now different so hopefully no more issues. 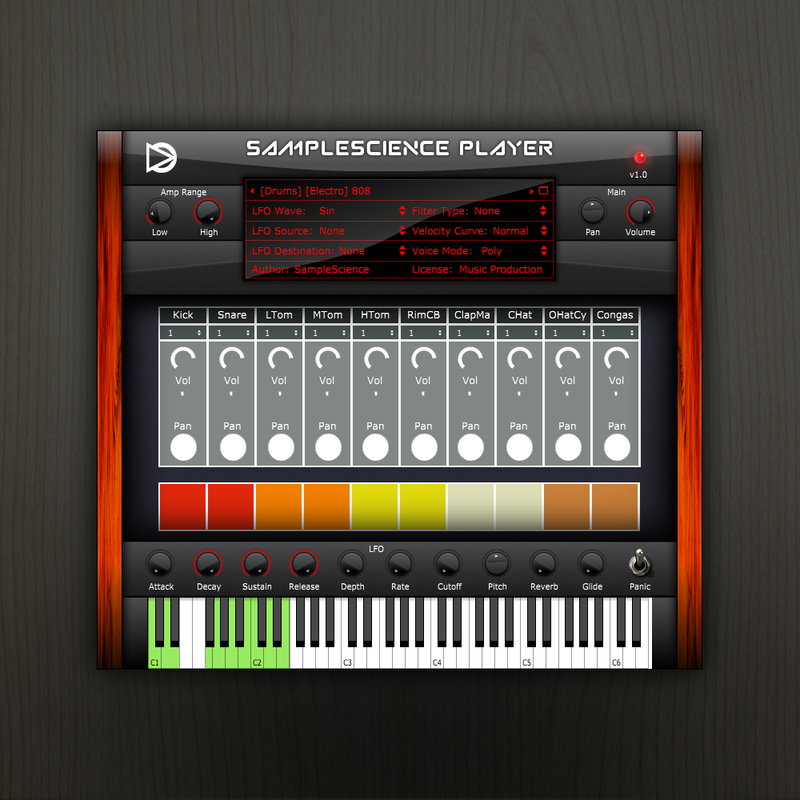 Here are packs of individual instruments made with the latest version of Maize Sampler. 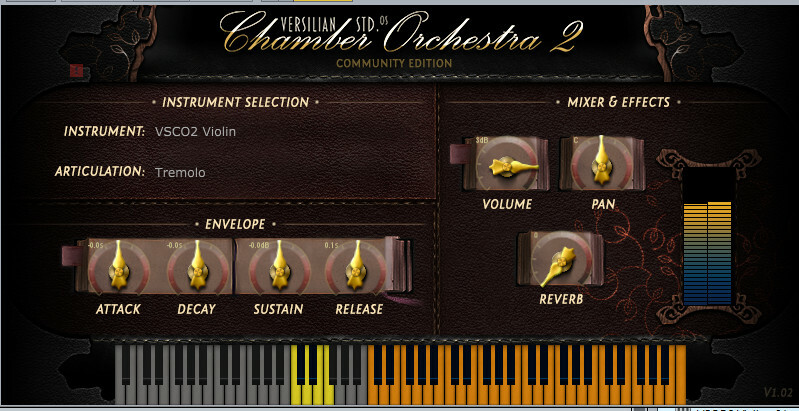 They should be fully compatible with VST2 & VST3 for both Windows and Mac. In short they should work with any DAW. 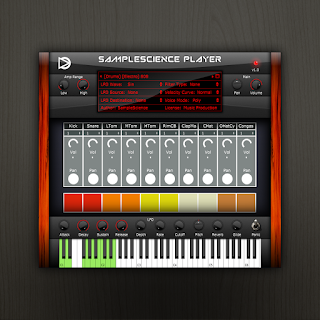 You can find the full Rompler at VST4Free as my version got taken down again. I know some countries can't access Mediafire and so the gentleman behind VST4Free has kindly agreed to provide another host for the project. This link is to the full Rompler, you can also browse bigcat instruments next to the '>' sign to get the individual instruments. Note this needs Windows Vista or later, it won't work on XP. Thanks to Sam Gossner and his crew for this collection of samples. Thanks to Simon Autenrieth for the artwork. Take a look at the Community Edition on Sam's site. You can find the samples, SFZ versions and much more. If you enjoy the sound you might invest in the pro edition. I did and I'm quite enjoying it. The fun exotic instruments like wooden flutes, baroque recorders and unique brass along with more standard orchestra instruments and great percussion make it worth the price of admission. Thanks to VST4Free for providing alternate hosting here. NSBreaks wrote "I have the instruments working in Garageband 10.2. I tried copying to the components folder in the MACHD/Library folder rather than the user/Library folder then I restarted my computer and the instruments simply became an option under 'AU instruments'." Full Rompler contains all the instruments below it. Soundcloud Demo kindly created for me by Sam.